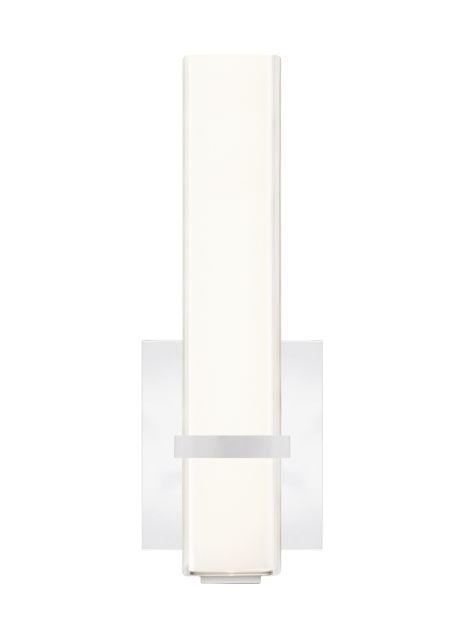 Clean and crisp by design, the Milan II by Tech Lighting is a modern LED bath bar elevated with an acrylic outer shade over an opal-etched inner shade elegantly finished with a metal center band. Offered in two popular sizes and three finishes, the Milan II is a great option for your bathroom or vanity with horizontal and vertical mounting options. Lamping options are compatible with most dimmers. Refer to Dimming Chart for more information. Includes 120 volt 13.2 watt, 797 delivered lumens, 3000K LED linear modules. Dimmable with most LED compatible ELV and TRIAC dimmers. 277V compatible with 0-10V dimmers. ADA compliant. Can be mounted vertically or horizontally. Length -- Choose -- 13"